Photo from Trail Firefighters Society social media page. Local firefighters are reminding residents to drive to winter conditions after tragedy was barely averted this morning when slippery roads caught more than one driver off guard. Regional Fire Chief Dan Derby said crews were called to an MVI about five kilometres east of Fruitvale at 8:30 a.m. Monday. 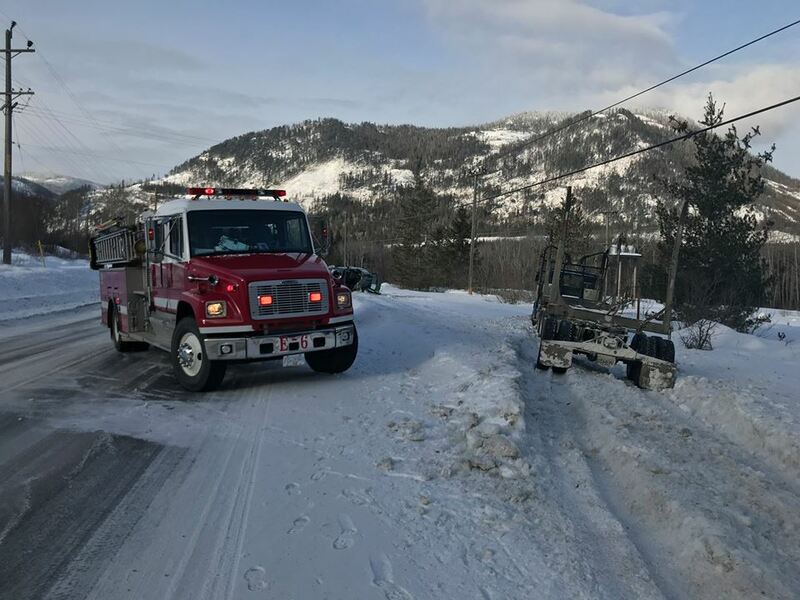 Moments after crews arrived on scene, a semi truck came around a corner and was unable to stop due to icy conditions, according to a social media post by Fruitvale Firefighters Society.